How cool does this look? 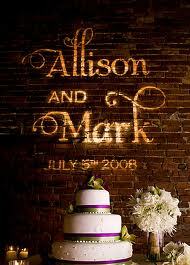 Mark and Allisons wedding in 2008. They wanted the gobo over the cake. I think it looks amazing! !